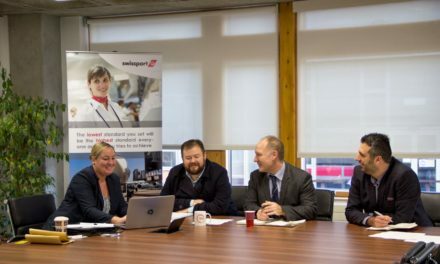 An innovative programme which prepares Sunderland students for the world of work has unveiled its special sector days for 2019. Work Discovery Sunderland is now in its seventh year, set up initially to link schools and employers to ensure that young people could make informed career choices. And now the scheme, which annually involves more than 1000 young people, has announced a full programme of sector days, aimed at familiarising pupils with all the job prospects across a particular industry. This year the sessions will get underway on 5 March, with a Construction Sector Day which allows young people to discover every aspect of the industry. The following day schools can choose from two options – a Contact Sector Day and a Discover Health Sciences day. On 7 March the many opportunities in the world of IT will be outlined in a Tech Sector Day, with the summer term hosting a Discover Nursing/Midwifery event on 15 May. On 13 June experts will host an Education Sector Day and during Work Discovery Week – which runs from 24 – 28 June -there will be a Social Work Sector Day on 26 June. “The aim of these days is to give young people a real taste of specific areas of work, highlighting the full range of jobs in each of these sectors,” said John Green, co-chair of Work Discovery Sunderland and retail liaison manager at the Bridges. The Work Discovery Sunderland programme helps students develop skills and gain insight into various industries before choosing their career path and since its launch has involved more than 6000 young people. The year culminates in Work Discovery Week, which is supported by a range of organisations including Sunderland City Council, SAFC, the University of Sunderland, Sunderland College, the Bridges and many others. Businesses wanting to get involved or who would like to find out about sponsoring the event should contact info@sortedpr.com for an information pack.